Are you in the market looking for some bass headphones? Be mindful, it’s a huge world out there, and there are so many brands to choose from that you’ll feel dizzy from the sheer number of models, to say the very least. We’ve decided to make one of the most comprehensive buying guides out there. This focuses entirely on bass headphones (not earbuds). Headphones are meant to go over the wearer’s ears whereas earbuds go directly into the ear canals. Some of it is preference, but we found that headphones give a much wider bass range. If you don’t know where to begin, jump down to our buying guide found at the end. With a great mix of comfort, style, and sound quality, the X2s are perfect if you need a pair of headphones that accentuate bass. Let’s open up our review of the best wired headphones with Phillips’ Fidelio X2. In a nutshell, these headphones are beautiful, quite big, very comfortable, and sport a set of ultra powerful neodymium drivers. In terms of sound, the 50mm drivers we just mentioned pack quite a punch. The bass feel from these cans is just staggering, and the oversized earcups ensure that only the smallest portions of sound are able to ‘escape’ your listening experience. Bass-wise, Fidelio takes things up a notch. The response is incredibly detailed, tight, accurate, and most importantly, very accentuated and pronounced. As a matter of fact, the entire soundstage is pretty much evenly balanced, fit for a high-class audiophile, to say the very least. Additionally, in comparison to most Philips headphone models, Fidelio X2 isn’t exactly a set of studio headphones. That means that their sound signature isn’t neutral per se, so you might want to consider another set of headphones if critical listening is what you’re after, otherwise they’re just phenomenal. Now, even though there’s a great number of things you’d like about Fidelio X2, there are a couple of things that aren’t as perfect. Namely, the passive ambient noise reduction could’ve been done a bit better, since some sound will still leak on occasion. So, in conclusion, Fidelio’s X2 headphones are definitely among the best wired headphones you could find in the price range, despite the minor imperfections along the way. We loved the durable construction combined with the great sounds we expect from Sony. 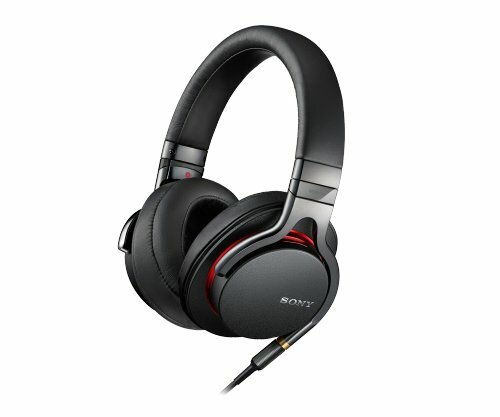 Next up is Sony’s MDR1A Hi-Res set of studio headphones. Sony’s a world-class brand, so feel free to expect quite a lot from this one. Basically, these headphones offer remarkable audio reproduction, they’re light but decently sturdy, and offer an impeccable bass emission level. First of all, let’s begin by saying that MDR1A are some of the most comfortable headphones you’ll be able to find for the buck. With a meagre clamping force and medium-sized earcups, it’s safe to say that you won’t even feel them as you wear them. The controls are rather simple too. Although there’s no mic or volume control onboard, you can switch between songs, so all things considered, it’s fairly easy to use them due to the sheer lack of features in this department. While it’s true that these might not be the most portable headphones out there, they’re still pretty compact due to the carry pouch complementary feature. Another great thing about these cans is that they pack a highly durable construction. Best of all, they’re also rather light. The headband was reinforced with thin metal piece so as to enhance the already great durability. In terms of sound, the bass is very deep and somewhat ‘punchier’ when compared to other high-end headphone models. In truth, most people even say that the bass is rather too heavy in certain aspects, so again, critical listening is most likely to be out of the question. Great pair of headphones if you want to double up with a gaming headset. If you are going to be spending this type of money, it might be a good idea to find something that can serve multiple purposes. In short, Beyerdynamic might not be as famous as Sony, Phillips, or some of the other names in the headphone industry we all know about, but one thing is certain – they make some of the finest cans in the medium and high-end price ranges. First of all, these are gaming cans, so it goes without saying that the bass they put out is awesome, to say the least. Modern games are made with incredibly detailed, immersive sound, and the MMX 300 aims to capture and deliver it to every console warrior out there. Even though it’s true that Beyerdynamic pretty much earned their fame by making incredibly robust headphones, they kind of outdid themselves with the MMX 300. Outstanding rugedness and memorable aesthetics are just some of the things that comprise the build of these cans. What else is great about these headphones is the fact that it comes with two completely different cables. The shorter one is intended for gaming while the other one can be used for casual listening, commuting, and such. In terms of performance, MMX 300 delivers without fail. The entire soundstage is solid and well-rounded, the bass being incredibly strong without giving any notion of distortion meanwhile whatsoever. In general, these headphones are pretty amazing, although the relatively high clamping pressure means that they’re not overly comfortable to use for hours straight. That’s, on the other hand, the only problem you should expect to experience. With a decent soundstage, awesome performance in general, and a neutral sound signature these are the best under $250. 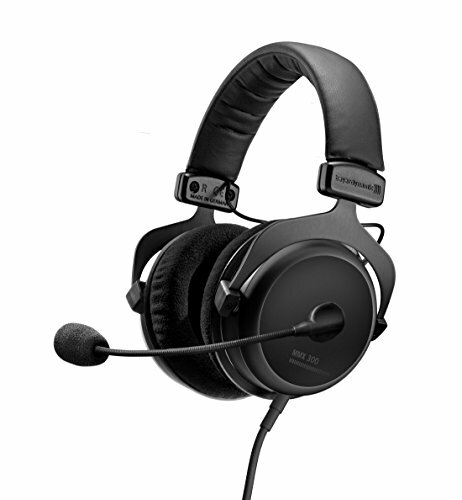 Here we have yet another model from Beyerdynamic, the TD 990 Pro. Now, obviously, these cans are relatively cheaper in comparison to the MMX 300, so it’s only natural that they don’t perform as good as the former. Firstly, unlike MMX 300, these headphones are very, very comfortable to wear. The earcups are outfitted with incredibly gentle fabric materials and they’re just perfectly sized, meaning that the clamping pressure isn’t too high as well. The DT990 Pro can be considered as a studio headphone set since it packs a neutral sound signature. Unlike most models we’ve reviewed so far, these headphones can be used for critical listening, recording, editing, and practically any sound engineering job for that matter. What’s more, the soundstage is pretty rich with mids, the highs are crisp and as bright as can be, and the bass is robust and punchy, although maybe not as deep as with other models in our review. Extremely comfortable and from a brand known for its long last performance, the HD579s are perfect for a wired headphone that doesn't slack on the bass. There’s a saying among audiophiles that ‘you can’t go wrong with Sennheiser’, and we tend to agree with such a statement. This brand has been around for decades, and they’ve perfected their craft to the point where they’re literally ‘incapable’ of making bad cans. 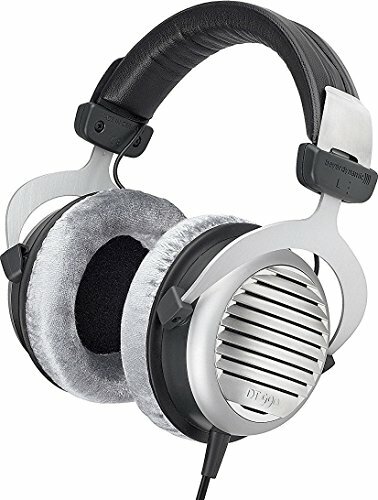 The HD 579 is, perhaps, one of their less expensive models, so even though it’s not a good representative of their craftsmanship, it’s still more than just good for the money. Let’s talk about the sound quality of these headphones for a bit. The lowest frequencies are pretty tight, the bass is controlled and leaks out minimally. What’s more, as deep as it goes, the lows won’t interfere with any other end, which can’t be said for numerous headphones. Mids are somewhat compressed, perhaps for the sake of the low and high ends, but they’re still pretty crispy and well-contrasted. As for the highs, this end is rather neutral, although there’s plenty of detail and brightness to go on and about. Last, but not least, the cups are oversized but feel very tender, so comfortability is pretty neat as well. The only bad thing is the high clamping force that comes along the way. Don't quite make the Hi-Fi bar, but there isn't a doubt that the SonicPros provide exceptional quality and comfort for this price level. 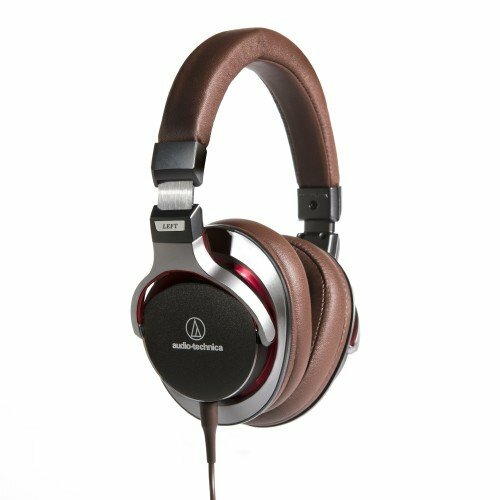 Audio Technica’s been on the market for quite a while, and if you consider yourself even remotely as an audiophile, you’ve surely heard about them by now. The model we’re looking at is ATH-MSR7GM, or simply put SonicPro – a beautiful set of cans which pack a powerful hardware outfit. First of all, these headphones were specifically designed to provide high resolution audio, and even though they can’t be considered as ‘Hi-Fi’ per se, they’re still pretty close to capturing the audio as it was meant to be. The first notable feature of ATH-MSR7GM is the, or rather ‘are’ the 45mm True-Motion drivers. They provide exceptionally rich and detailed sound while minimizing audio distortion and feedback. What’s more, bass lovers will be thrilled to hear that Audio Technicians have used their innovative air-dampening technology which substantially enhances the lower end spectrum of audio frequencies. What we know as ‘passive noise reduction’ was implemented in forms of three accurately placed vents within SonicPro’s construction. Lastly, the headband is made of stainless steel materials, ensuring its longevity. The only thing people didn’t seem to like as much about these cans is that there’s maybe too little padding. Low damping pressure surely is one hell of a benefit here, but there’s some room for improvement in terms of comfortability. The younger brother (or sister) of the 579s, the lower price point HD280s are a great mix of comfort and superior bass levels in an easier to swallow price range. Sennheiser’s cheaper models are always a rare find, so the first wired headphone set under $100 we’re recommending to you is their HD280 Pro. In a nutshell, these headphones are extremely comfortable to wear, remarkably easy to use, and the quality of sound they provide is way beyond the standard considering the price range. What heavily contributes to the overall comfortability of these headphones is the fact that they’re practically weightless. Namely, they weigh only 285 grams (approximately 10 ounces), so it’s safe to say that you won’t even feel them. Further on that point, the clamping pressure isn’t too high, which is quite amazing given that the cups are rather big. Before we get to its actual sound performance, let’s wrap the issue of comfortability with one final statement – there’ are pads all over. The headband, the cups, you’ll simply feel very natural while wearing them. As for the sound performance, Sennheiser’s kind of set the standard in the industry, so you should expect quite a lot from the HD280 Pro. Every single segment of the soundstage is absolutely superb – bright highs, accentuated mids, deep bass, it’s all there. The only problem, however, is that these headphones are somewhat flimsier than most in the price range. Unique collapsible design and a balanced soundstage make this a great pick up in the mid-priced wired category. The ATH-M30x was one of the most popular Audio Technica models some years ago, and the series has quite some renown even still. So, what’s basically happened when this model came to be is that AT used all of their current technologies at their disposal and went ‘all in’, sort of speaking. They’ve used incredibly exotic earth magnets coupled with copper clad voice coils made of premium quality aluminium, and integrated this ‘mix’ in the 40mm drivers. The result was, obviously, a staggering, until that point unprecedented soundstage with a huge bass response, purposefully accentuated mids, and perhaps a bit too bright highs. What’s more, these headphones were specifically tuned to provide enhanced detail to the sound, which basically means that their sound signature is not neutral in any way or form. Though critical listening might go out of the question, these headphones are phenomenal when it comes to casual listening and gaming. Furthermore, these cans sport a ‘collapsible’ design, which significantly enhances their overall portability. Though the soundstage is very balanced and the overall sound quality phenomenal, there’s a reason why improvements were called for. Namely, the cups are very rigid, not to mention huge, which means that the clamping pressure of these cans is a bit too high for comfort. That, however, depends on the size of the wearer’s ears, so basically, these headphones won’t feel comfortable to everyone. A neutral signature and extremely clear for the price, the K240s are great if you are a fan of the AKG brand. AKG acoustics are maybe not as well known as Sennheiser, but they basically sit upon the same pedestal. Both brands are German, which means only one thing – they’re masters of their craft. What’s more, AKG has been around for more than half a century, being founded in 1947, so it’s pretty safe to say that seven decades of dedication towards perfecting their headphone manufacturing technologies were sufficient, hence came K240 a couple years ago. For some of you who’re interested in a bit of history behind this phenomenal headphone set, the K240 is actually built after a model this brand designed in 1975, so old-school, vinyl-like performance is what you should hope of getting should you opt for them. Unlike most models we’ve seen so far, the K240 was actually intended for both studio work and critical listening. These headphones look almost exactly as the bulk of models AKG have built in the last 40 years, but the best things these cans can offer you are cheapness and remarkable sound quality. The neutral sound signature lets you hear every portion of the soundstage with unparalleled accuracy and clarity, although they don’t feel overly comfortable to wear due to the lack of pads on both cups and the headband. Another good thing is that you’ll get a replaceable cable as a complementary cable, although it’s only three meters long. One step down from the M30x, the M20x still provides great bass response (starting a 15Hz). The difference is actually in the upper ranges and may not matter depending on your listening needs. There are people who are constantly postponing the moment when they want to get a set of quality cans, and more often than not, the reason is money. We’re here to show you that there are budget headphones that can actually come pretty close to their expensive counterparts in terms of quality, so let’s begin with ATH-M20x. It goes without saying that Audio Technica’s ATH-M30x is one major headphone set, so for obvious (financial) reasons, we’re contrasting it to ATH-M20x, since the latter comes at a significantly lower price. The technical differences between these two headphones are minor, so if you liked the M30x but feel like they’re too expensive for you, there’s no reason why you should not consider getting yourself ATH-M20x. First of all, both of these cans have a superb bass response (lowest frequencies starting at 15 Hz only). The first difference is actually in the highs – while M20x goes up to 20 kHz, the M30x goes some 2 kHz higher. In terms of weight, the M20x is actually some 30 grams lighter, weighing only 190 grams. The second, probably slightly more relevant difference between these two headphones is the fact that M30x can be folded, whereas M20x can’t. All the other features are almost identical, including single side cable exit, circumaural design, and 40mm drivers. The budget offering from the Sennheiser line has plastic cups and headband which are very rigid so take care not to put too much strain on them. 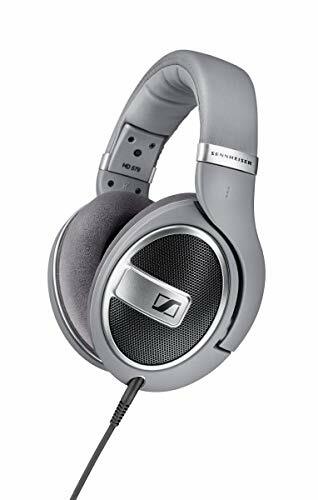 You’re probably thinking ‘first AT’s budget headphones, now Sennheisers?’, and yes, all the giants have a budget series or two in their catalogue. So, in a nutshell, the HD 201 headphones are the most basic set of cans you could get from a brand as big as this – the difference in quality between Sennheiser’s cheaper and more expensive models is staggering, so attune your expectations accordingly. There are a couple of things you’ll grow to love about this model though. Firstly, they are very lightweight, and despite having a set of big cups, they’re also very comfortable to wear. The earcup pads are made of smooth leather-like material which feels quite plushy. Just after this, we should warn you that these cans aren’t exactly durable, or as far as the headband’s concerned. It’s made of plastic materials and it’s very rigid, so without proper care, HD 201 won’t survive for too long. Although both mid and high frequency ends could’ve been done a lot better, the bass is very strong here. Perhaps not as detailed or punchy, but certainly deep and vibrant. All things considered, we’re, after all, looking at Sennheiser’s cups, and if you remember the saying ‘you can’t go wrong if you go with Sennheiser’ – it still applies. This price range is most densely ‘populated’, so if you are looking for quality headphones without having to pay a ton, you might as well start your search here. Good but not great audio quality, active features, and noise cancellation. If you love Sony, but have a smaller budget, you don't have to make too many compromises. 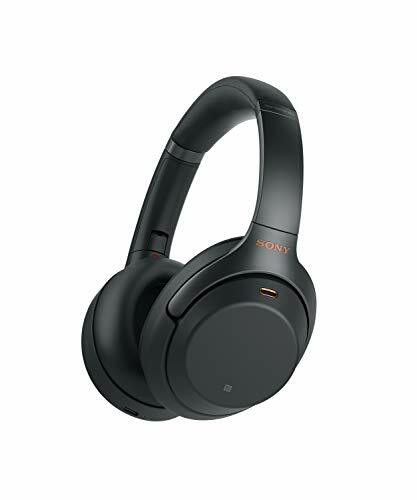 Even though we all know Sony’s made history with their headphones, they actually have a couple budget models that are surprisingly good in comparison to similarly priced models. If we’re to forget that these are Sony cans, we’d be looking at headphones that have a decent quality of audio, nice active features, and some ambient noise isolation. There are, on the other hand, numerous things that could’ve been done better. What’s great about them is that they’re pretty versatile – great for travelling, commuting, regular and casual listening, minus critical listening and studio work. It’s true that they’re cheaply made since this particular form of plastic prevents them from falling apart on their own, but that’s as far as the story goes. Additionally, the fit’s relatively unstable, meaning that they can fall off from the head of the wearer rather too easily. As for the noise cancellation features (see our earbud list here if that is more your style), it’s completely passive, but it’s surprisingly good that even that’s onboard considering the price. On a brighter note, the cups are relatively small, pack a low clamping pressure, and the cans feel quite light overall. The QC35s top our list as the best wireless headphones you should get for great bass. Bose created a superior product that has a ton of extra with Bluetooth and ANC. The world of wireless headphones is a bit larger than that of their wired counterparts, so picking the best of the best was somewhat more difficult. Among the plethora of world-class brands, we’ve decided to open up this side of our review with Bose’s Quiet Comfort 35 from the Series II. They might not look as expensive, but they pack some of the finest bleeding-edge technologies available, including 3 levels of noise cancellation, noise rejecting dual mic system, latest version of the Bluetooth software, and more. What else is great about QuietComfort 35 is the fact that you’ll get Alexa-enabled access to your favourite music. That combined with Bluetooth pairing results in the easiest method of operation that you can think of. Bose is also famous for their high-tier drivers and similar software, so as far as audio quality goes, these cans will deliver. Although it’s true that there are better-looking headphones to be had for the money, the QuietComfort 35 certainly looks beautiful. Better yet, you’ll get to choose from three colour options, including ‘black’, ‘silver’, and ‘triple midnight’. The Studio 3s from Beats have great ANC and are extremely comfortable making them a great option. Right after Bose we’ve taken a gander at what Beats can offer in terms of the best wired headphones – the Studio 3 seemed and proved to be a perfect choice. These headphones look absolutely stunning in every possible colour – they come available in blue, gray, matte black, red, white, crystal blue, defiant black/red, and other variations. Strictly speaking, these headphones offer the best noise cancelling technologies called the ANC (which stands for adaptive noise-cancelling). What this means is that the ‘cans’ will virtually adapt to your environment and provide you with as much leak prevention possible. The next state-of-the-art technology we’d like to talk about is the Real time audio calibration. That practically means that what we know as ‘Hi-Fi’ has been taken onto a totally different level in terms of sound quality and fidelity. The battery lifespan of Studio 3 reaches a total of 22 hours on a full charge, but what’s even better is the fact that there’s a Fast Fuel feature – mere 10 minutes of charging will yield you additional 3 hours to enjoy in your songs. Just like the case with QuietComfort 35, the Studio 3 lacks any kind of padding, meaning that using them in cold climates might prove to be discomforting. Along the same quality line as the Bose and Beats above, the WH1000XM3s have some very unique technology built into the headphones and perform very well in the low ranges. Our final pick in this segment comes from Sony – the WH1000XM3 are equally good as QuietComfort 35 and Studio 3, although they provide a different kind of benefits. First, let’s start off with the noise cancelling features, as you probably don’t want that punchy bass to elude you. Now, the WH1000XM3 features digital active noise cancelling technology which is on par with Beats and Bose, although not as versatile. Further on that point, the noise cancelling features of these cans is labelled as ‘adaptive’, same as Quiet Comfort. However inferior, it still provides a nearly soundproof chamber where no sound escapes unless you want to. There’s a really interesting feature, or better yet a setting, called ‘quick attention’. By covering the right earcup you can quickly turn your music a bit, allowing you to partake in conversations without actually stopping your songs. You’ll also notice that the battery lifespan of WH1000XM3 is superior when compared to our earlier picks. You will get to enjoy in your music for up to some 30 hours per charge. The ‘quick fuel’ is, however, inferior in terms of charging back (needs 10 minutes to charge 3 hours), whereas these headphones need the same amount of time to charge up additional 5 hours. As for the soundstage, what do you initially expect of Sony? The highs are very bright, contrasting the earthshaking lows, whereas the middle end is not as exemplary. The cheaper model of the wireless Bose, the SoundLink overperforms in its price level and is worth checking out. Bose’s SoundLink is in the same quality range as their QuietComfort 35. However, there are plenty of differences between these two models that set them apart. First of all, let’s start with the similarities. The soundstage of these cans is as balanced as with the model we’ve reviewed not too long ago – world-class EQ, balanced mids, deep bass, and bright highs are just about the start of it. Though they do not come with the latest version of Bluetooth technology, the wireless connection here is pretty solid, the main difference being in the range it can reach. Another great thing about SoundLink is the seamless audio and video streaming capability (which is just one of the reasons why it’s got the name). The advanced HD mic system is another difference between the two models, SoundLink being superior in this segment. The only real thing that these cans don’t have and what QuietComfort provides is the battery lifespan. Namely, SoundLink can muscle up some 15 hours of playtime and requires full three hours to get the juices back on. Though even that’s formidable, Quiet comfort is better with 22 hours and 10-min recharge feature. 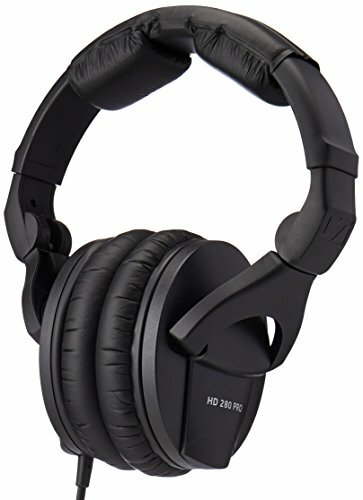 Dual 40mm drivers (w/ separate subs) come together to make a surprisingly great set of bass headphones from Skullcandy. Skullcandy’s ‘Crusher’ is actually more of a ‘bludgeon’, a ‘two-handed mace of power’ in the ‘moderate’ price point category. It was incredibly popular not a while back, and if you didn’t pick up on the trend, maybe it’s time to do so now. These cans come with two 40mm drivers and feature two separate subwoofer drivers, all of which work together aiming to blast the thickest basses into your minds, so if you’re a bass junkie, there’s no reason to think twice. What’s more, the bass levels are adjustable, which means that if you’re not getting enough of it, you’re either deaf or soon to be. Additionally, the Crusher features a neat, though a bit outdated version of Bluetooth and all the accompanying wireless features, such as an integrated mic control, on-ear buttons, change tracks, and such. On a downside, the noise cancellation is passive, which is still pretty good, but you don’t have as much control over it. So, all things considered, the Crusher is definitely a cardinal set of cans, meaning that it’s not for just everybody. The brute strength of the bass output can get a bit overwhelming at times, but luckily, you’ll have the ability to adjust it. Extremely sleek design and 50mm drivers will make you stand out in the crowd. The bass also sounds great, don't worry. The last headphones in this department we’re recommending to you is V-Moda’s Crossfade. It’s basically one of the best looking headphones we’ve covered so far, but there’s far more to it than just aesthetics. First of all, these cans pack some 12 hours of battery lifespan and are outfitted with premium-quality Li-Ion batteries. Though that’s not much when compared to Quiet Comfort 35 or Studio 3 for example, it’s pretty nice considering the price range. The reason why these headphones are so great is because they come outfitted with a dual diaphragm 50mm driver. This hardware piece was actually modelled after the Crossfade M-100’s driver, which has earned much renown among audiophiles already. Crossfade is made of a combo of vegan leather and steel, which means that it’s both very durable and comfortable to wear. The bad thing about them, however, is the fact that they are quite bulky, although they don’t weigh too much. You will give up some of the higher quality price tags in this range, but the E7s still have great sound and last for almost 30 hours on a single charge. We’re slowly approaching the lower ends of the ‘medium’ price point category, and Cowin’s E7 Pro is our opener. Basically, these headphones provide substantial benefits, but are not as close to ‘perfection’ as some of the models we’ve reviewed in the ‘best overall’ section. First and foremost, the E7 Pro packs 45mm drivers that pack quite a punch bass wise. Although the mids could welcome a bit of extra groove, the highs are detailed and rich. The ear cushions on these cans are outfitted with protein plush-like foam which speaks volumes about E7’s comfortability. Additionally, the sound cancelling features, as well as the microphone are of exceptional quality when we take the price into consideration. Although E7 Pro isn’t one of the most beautiful headphone sets you’ll ever find, it does look quite charming. As a matter of fact, it comes in seven colour variations, including black, blue, green, pink, purple, red, and white. One of the best things about E7 is the humongous battery lifespan. Namely, you can use these headphones for up to 30 hours, even if the Bluetooth is on. What we didn’t like as much was the durability. Namely, the headband is relatively flimsy and quite rigid. Won't be the best at anything, but is a solid all-around choice for the price point. 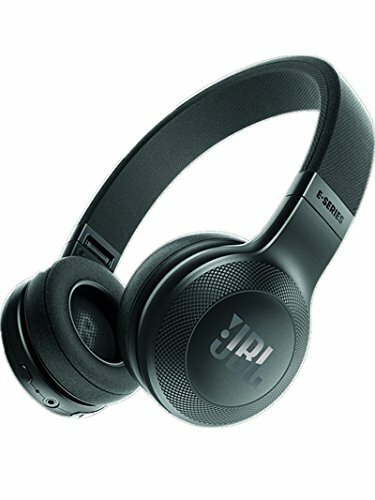 Moving on to JBL’s E45BT, a great pair of headphones for people who need some extra bass in their music. 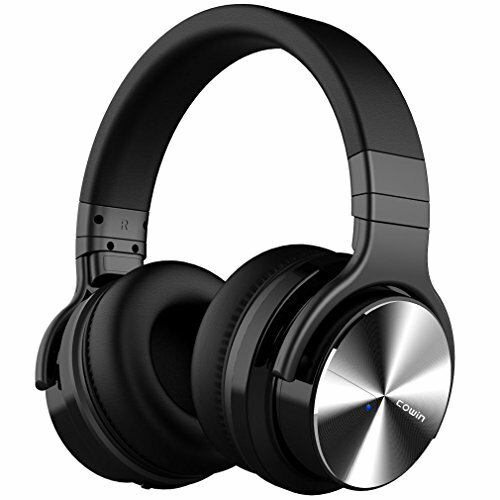 Basically, the sound quality these cans provide is above average, the wireless range is pretty decent, and the same can be said about the battery life. Among the bad things we could name the flimsy construction, and somewhat inferior noise isolation. Basically, this headphone set can be considered as E55BT’s downgrade, although the smaller cups make them even more breathable. What’s more, they weigh only 0,4 pounds and have a clamping force of 0,8 pounds – both parameters are pretty decent in comparison to similarly priced headphones. The fit can be described as ‘moderately tight’, which means that they’ll stay in place, but you might experience some listening fatigue after a while. There are several controls found on the left cup, including call control, volume control, and music control, so in essence, they’re easy to both wear and use. Breathability is definitely one of E45BT’s stronger points, as they do not cover the wearer’s ears fully. Even so, certain amounts of heat will be trapped, which is a completely normal thing about headphones. Performance wise, these headphones perform the best in the bass range, drop a bit when it comes to mids, and the highs are not exactly stable. Anyhow, the overall sound quality of E45BT is well beyond average. Compared to many of the other headphones in this list, the mid range is a lot better than expected. Check these out if you want something that sounds a bit better in that sound band. If you’re a rocker, or a metalhead by any chance, you’re going to absolutely love Marshall’s Mid headphones. The first thing that we found as awesome was the fact that these headphones feature over 30 hours of total playtime. They’re outfitted with custom 40mm drivers that provide a superiorly robust sound without hindering the balance of the soundstage. What’s more, the ‘Mid’ is sturdier than any headphone sets we’ve reviewed so far, mainly due to the plush headband design. Marshall actually used the same type of leather they outfit to their amps. The ‘Mid’ cans use a rather peculiar variation of Bluetooth technology called the aptX. It has a broad range of 30 feet and won’t give you any troubles regarding audio and video syncing. There’s a neat little control knob on one of the cups which can be used to play, pause, control the volume, or shuffle your playlist. Mid is also compatible with most smartphones, and it packs a collapsible design which helps you carry it whenever, wherever. The only problem, however, is the huge clamping pressure, or at least some people experience it as such. JBL's budget bass headphones provide bluetooth, good quality, and over 10 hours on a single charge. Our first budget pick comes from JBL – a world-class titan in the music industry which we’ve all heard about. 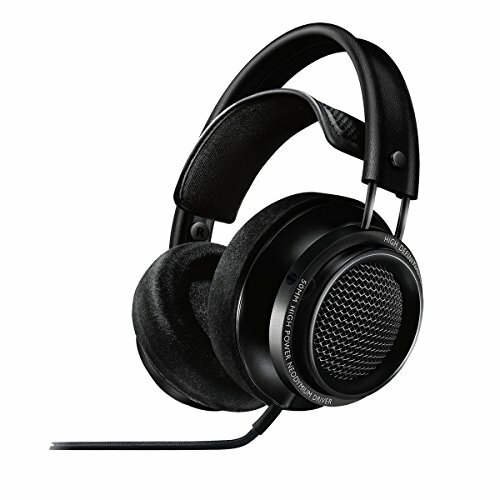 Now, since we’re talking about budget headphones here, it’s only natural that T450BT doesn’t have that much to offer in comparison to high-end models, but it’s still pretty formidable in all aspects of performance. First of all, these cans come packing the 4.0 version of Bluetooth. It has a decent range, although there might be some issues concerning reliability considering that this is a relatively outdated version. The battery’s lifespan is also pretty great with 11 hours on full charge, although the recharging process takes quite a while. Among the most highlighted selling points of JBL T450BT are the Pure Bass technology and foldable design. There are call, music-playback, answer, and other controls straight on the earcup, so you can easily adapt to whatever situation might come your way. Lesser known name, but a good product nonetheless. It has a huge batter life and large form factor that fits comfortably for those long sessions. The last headphones in our review are Mpow’s H5. In a nutshell, they feature active ambient noise reduction technology, adjustable fit, Blutooth version 4,1, and a foldable design. Basically, this one of the most versatile headphones which you could get for the money. It’s true that they don’t excel in virtually any sphere of performance, they provide an all-around approach for people who don’t have the cash to get an expensive set of cans. The Bluetooth connectivity of these headphones reaches up to some 33 feet, which is fairly amazing if we consider the fact that it’s an outdated version. Surprisingly enough, the H5 has a battery lifespan of 30 hours, though the recharge process takes forever. Comfortable and foldable, these cans can be taken anywhere anytime, but the reason why we’ve decided to close our review with this particular model is because there’s just plenty of bass to go around. Which headphones have the best bass? Essentially, every headphone set comes outfitted with a different set of features, and it’s precisely the hardware pieces that determine how the bass will come out. Drivers provide ‘power’ to the soundstage which is either ‘neutral’ or leans toward one end or another. Usually, what we call a ‘bass heavy’ set of cans is something that you should at least consider if you’re looking for this specific type of headphones. Basically, drivers are headphone elements that convert electrical signals, transforming them into sound. Each driver is made of standard component types, although the quality of these segments determines the soundstage – there are voice coils, a magnet, and a diaphragm. Usually, we can use the driver’s size in order to get a hint of how good it is at producing sound, so logically speaking, the bigger the better applies here. On another hand, there are models that are outfitted with more than one driver, and there are numerous different benefits that such an approach could provide. For instance, dual-driver systems emit less distortion and are generally more efficient. 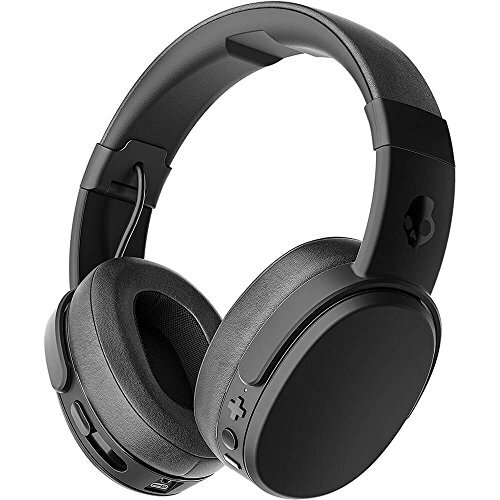 Skullcandy’s Crusher is a perfect example of headphone sets which actually have adjustable bass levels. That’s a good thing by default since that necessarily means that the top end of these levels is through the roof (else there wouldn’t be any point in having adjustable levels). In this particular case, there are three levels of adjustable bass, although there are models that have more or less. What should be important to you is the fact that you can adjust it. Whether it’s fine tuning or you think that the brand didn’t put enough, having the option to kick it up or put it down a bit is always great. So far we’ve talked about what makes the bass sound so good in certain cans, but now it’s time to talk about what keeps it in there. Namely, we’re talking about sound isolation. You might encounter terms such as sound reduction or ambient noise isolation, but they basically mean the same thing. Essentially, sound isolation is a barrier between the sound emissions and the outside world. If such a barrier is weak, noise will leak outside. So, how does that affect you? Imagine it this way – if sound can leak out, it can also leak in. In the case of poor sound isolation, you’ll be facing two separate issues at the same time. Firstly, outside noise will come ‘in’ and you’ll hear your music in less detail. Secondly, bystanders will listen to whatever you are listening, and even though you might have the most refined music taste ever, some people consider this moment as impolite. So, how do you know that your cans have good isolation? Well, there are two types of sound isolation to begin with – Active, which is usually integrated in more expensive models, and passive, which is rather basic. Active sound cancellation means that it’s a switchable feature. That means that it can be toggled on and off, and whoever has made an effort to introduce such a feature to your cans, you can rest assured that they’ve given all they’ve got for it to be as efficient as possible (related to the fact that such technologies are only implemented by world-class brands). Imagine that you encounter a friend, or you’re being asked a question by a stranger. Instead of needing to completely halt your music (and potentially get confused along the way), you can simply turn this feature off and resume where you’ve left off. This particular technology has gone as far as to introduce ‘Adaptive Noise Cancelling’ into its arsenal. Such technology is owned by a handful of industry giants such as Beats and Bose, and it basically means that it’s ‘smart’ enough to react to the surrounding environment. Passive noise reduction is basically provided by physical layers of obstructions, often by foam filters found in the cups themselves. It goes without saying that such a type of noise reduction is inferior and subpar in every way when compared to its active counterpart, but it’s not completely useless. Namely, there are models (cheap ones, of course) that can’t even offer that, and in such a case you’ll be lucky to hear anything at all if there’s but a car revving from miles away. So, essentially, passive noise reduction isn’t called ‘cancellation’ on purpose – noise will leak in and out, and that’s something you should be prepared to endure. These headphones are ideally used for commuting or in environments where ambient noise wouldn’t be such a big deal anyhow. Essentially, there are no headphones that are capable of ‘altering’ the songs in any way, at least not on their own, so ‘bass boosted’ doesn’t necessarily mean that such a boost is applied automatically. The ‘bass boost’ means that the lowest end of frequencies was purposefully enhanced, adding an extra punch if you will. Bass boosted headphones are usually Hi-Fi headphones with a flat response where the lowest spectrum of frequencies was taken up. After reading through our reviews, it might be apparent that finding the best bass headphones isn’t such a small task. Take note that these are just some of the models that bear some renown on the market, as there are virtually millions and millions of similar models. To wrap things up, let’s just remind ourselves of the best headphones we’ve had the pleasure of reviewing – the best wired model being Phillips Fidelio X2, and best wireless model the Bose QuietComfort 35. It would be incredibly difficult to answer a question of ‘whether wired or wireless headphones are better’, as it falls down to the matter of subjective preference. Objectively speaking, each model in this review has something that makes it stick out from the rest – cheap, yet versatile models are a rare find, moderately priced ones which won’t break after a couple of months, and of course, the ones that cost a fortune but are actually worth anything are the rarest of them all. We hope that you’ve liked our selection of the finest cans you could find in 2019, and for some final words, we highly encourage you to read our reviews and to check out the buying guide section beforehand.